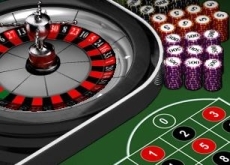 It is not a secret that there are different types of roulette game. There are different types of roulette wheel European, American, French, Mini-Roulette, No Zero Roulette. In this article we will look closer to some of them. In this type of roulette the wheel has 37 numbers which are placed randomly from 1 to 36. Besides, European roulette has one zero "0". The house advantage is 2.70%. The aim of this game is to predict the outcome of the ball. In European roulette you are allowed to bet on every number or pair of numbers. This game has simple rules, that is why people prefer to play it, besides European Roulette has better chances to win. American Roulette game has thirty eight numbers. It includes "0", "00" and 1 -36. American Roulette has two zeros (0, 00). The house has 5.26% advantage. This type of roulette is played with different color chips for every gambler. Look at the table below in order to find out all possible bets. French Roulette game is very similar to the European roulette. The wheel is numbered from 1 to 37 with one zero "0" but the layout of the table for outside bets is different. The odds of French roulette are better than in the American game. Firstly, there is one zero but what is more the gambler lose only fifty percent if the ball lands on the zero it is known as the La Partage rule. So, you have found out about the main roulette types and now you are welcomed to play in any roulette table you wish. Remember, roulette game is a game of pure luck. But if you are the beginner you can practice absolutely free in online casinos. Practice and gain experience!